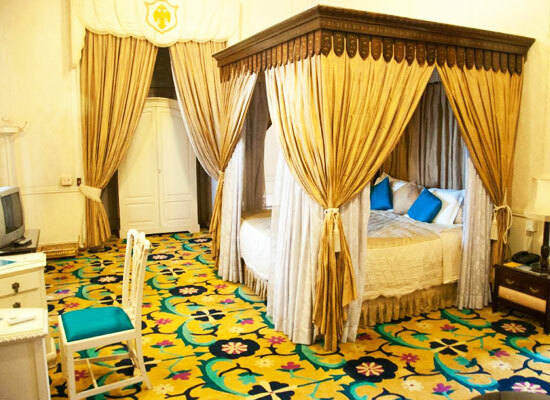 "One of the best heritage hotels in Mysore, Lalitha Mahal Palace boasts of world-class luxurious that have been combined with impeccable Indian hospitality. Located just outside the main city, the palace is built on a low hill and offers a memorable stay to its guests. Enjoy contemporary facilities and amenities like indoor games, outdoor recreation, spa, business hall, health club, shopping arcade, library, room service, swimming pool and so on. The grand accommodation is segregated into rooms and suites. The property has exquisite interiors. 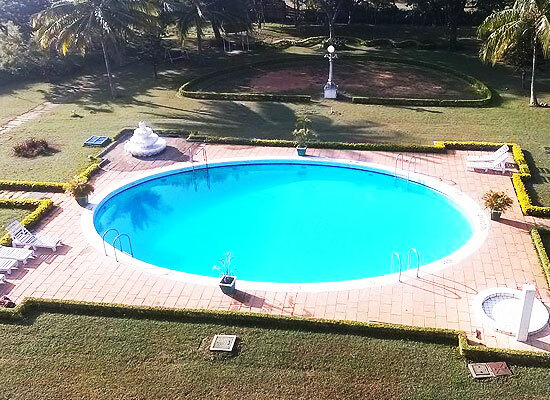 Located amid panoramic garden below the Chamundi hills, the exquisite Lalitha Mahal Palace was constructed in the year 1921, by the then Maharaja of Mysore. The architecture of this ethereal two-storyed palace has grand porch, twin columns, an expansive central dome and spherical domes with lanterns. This property is the proof of the wealth of the rulers of Mysore, who were considered to be second in the line of the wealthiest people in India, after the Nizams of Hyderabad. HH Krishnaraja Wodeyar IV (June 4, 1884 - August 3, 1940) constructed this palace to host the stay of the then Viceroy of India. Thereafter, the palace was turned into a guest house for the European guests of the Wodeyar Maharajas. 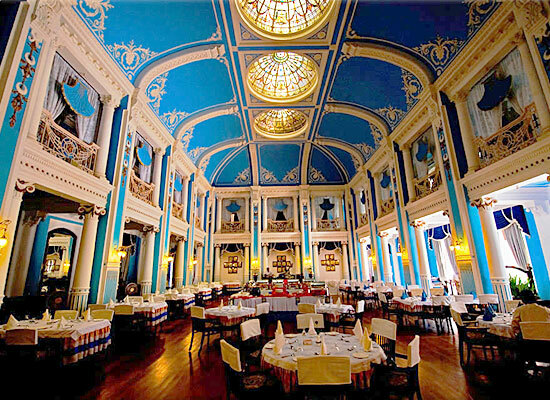 Lalitha Mahal Palace was planned by a popular architecture from the then Bombay E.W. Fritchley, and was built by B Munivenkatappa. Known to be inspired the St. Paul’s Cathedral in London, the palace has Renaissance style of architecture. Some of it takes the cue from Italian Palazzos and English manor houses. 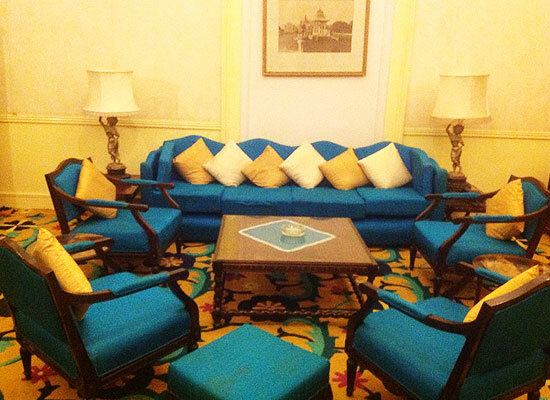 Lalitha Mahal palace consists of 54 stately suites and rooms. 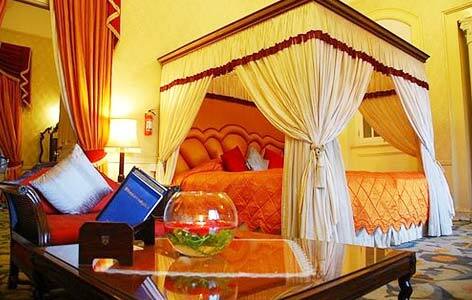 The room types are as follows: Turret Rooms, The Viceroy Suites, Duplex Suites and Double Rooms. The rooms are cool, airy, with plenty of natural light. All the rooms have period furniture, four poster beds, arm chairs, gilt framed Belgian mirrors and so on. Bathrooms are equipped with original Shanks of Scotland plumbing fixtures. Food is another extravaganza item in the hotel. You will get special South Indian, Continental, Chinese, Mughlai and other Indian dishes in the hotel. One of the most popular destinations in South India, Mysore is known as the 'City of Palaces'. The seat of the Wodeyar rulers from centuries, the city is dotted with various exotic and magnificent structures. Some of the most famous tourist attractions of Mysore that must not be visited include Mysore Palace, Brindavan Gardens, Karanji Lake, St. Philomena's Church, Mysore Zoo and so on.